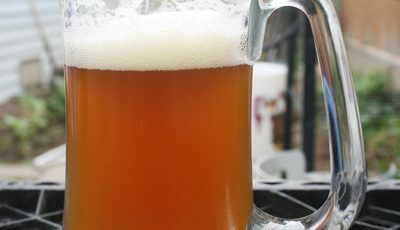 This article was originally posted on Nov. 24, 2011 on my homebrew website, Fat Grey Tom’s Cider. It has been re-posted here with the same time stamp. 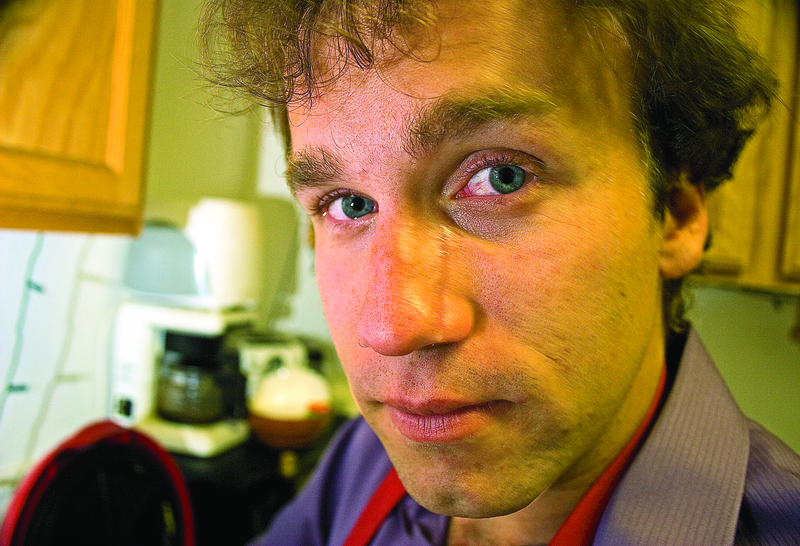 Leo’s Stout #2, has its genesis in the original stout we brewed. As you might imagine. 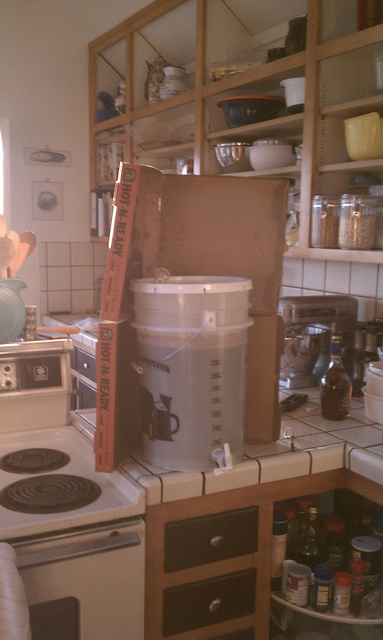 This time, however, we boosted the batch size to around six gallons to take advantage of our 6.5 gallon glass carboy. Can you say blow-off tube? Because we have one. Oh yea. We feel pimpin’. Nay. We be pimpin’. 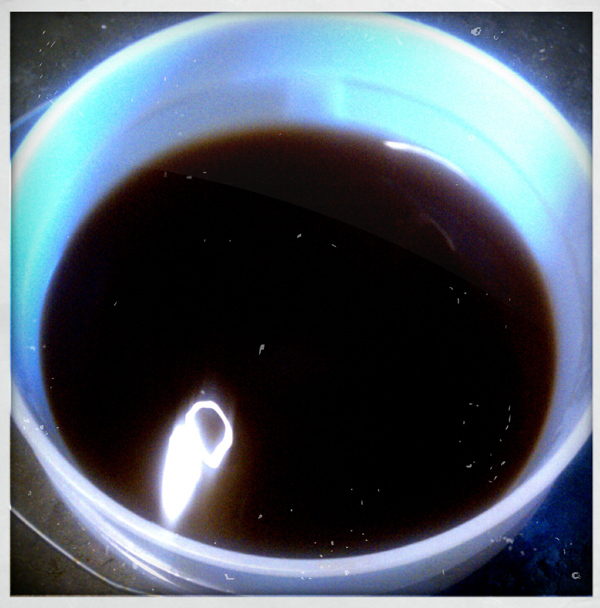 Much like for the first Stout, we used a White Labs Irish Ale Yeast, pictured below. We’ll be using this same yeast to ferment a 2 1/2 gallon batch of cider done in the most lovely of Mr. Beer’s with a new spout. Which has been gorilla glued into submission. 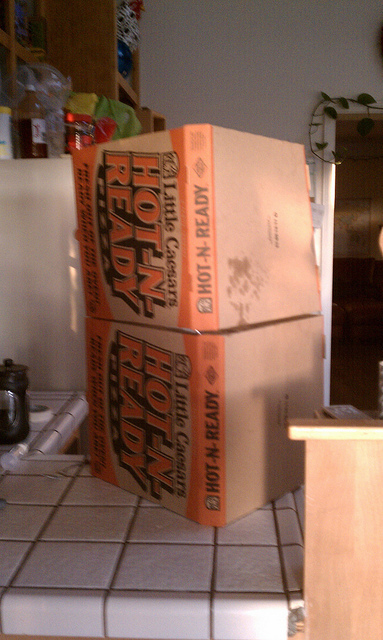 Our next batch will be a pumpkin beer. 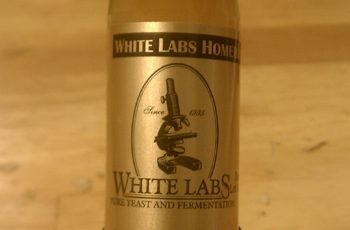 White Labs Irish Ale Yeast. Done us well so far. 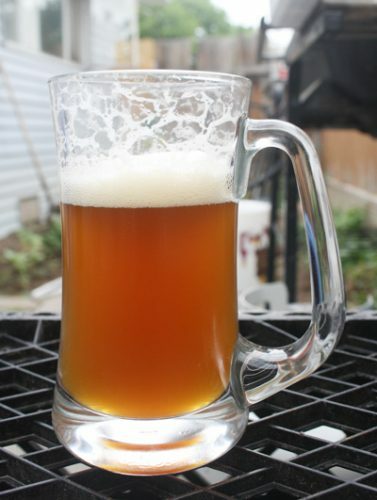 This article was originally posted on Sept. 30, 2011 on my homebrew website, Fat Grey Tom’s Cider. It has been re-posted here with the same time stamp. 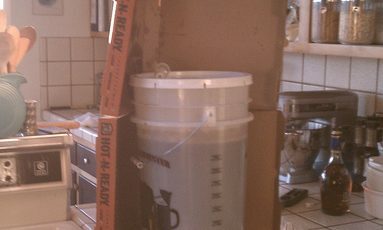 After having successfully brewed our first beer, a “basic dark” and both wanting to move on to a greater challenge and something with a more complex flavor, we decided to brew a stout.